This volume is dedicated to Heiner Zieschang, who has been a teacher, mentor and friend to us and to most of those that have contributed their works. These words are written just days after a conference in Toulouse in honour of Heiner Zieschang. Almost three and a half years after his death many of us and others that Heiner has befriended over the years have gathered and remembered the person they have lost and their many memorable encounters with Heiner. Heiner Zieschang was born on November 12, 1936 in Kiel, Northern Germany, where he also spent most of his youth. From 1956-1962 he studied mathematics in Göttingen, interrupting his stay there to attend the seminar of Emil Artin in Hamburg. In 1961 he obtained a doctoral degree in Göttingen under the supervision of Kurt Reidemeister; his thesis Über einfache Kurven auf Vollbrezeln dealt with simple closed curves on handlebodies. One of the characteristic aspects of Heiner's work was already apparent at this early stage, his interest in the interplay between algebra and topology. His next step was highly unusual, indeed almost unheard of for a mathematician from the West: he decided to visit the Soviet Union. Armed with a grant from the DFG, he visited the Moscow State University from January 1963 until July 1964. His particular interest was attending the seminar of Pavel S Alexandrov whom he had met in Göttingen in 1958. Moscow was at the time clearly one the best places to be mathematically, and Heiner benefited greatly from the quality of mathematics that surrounded him. Equally important, though, was the profound affection he developed there for Russia and the Russian people, something that he would cherish until the very end. After his return from the Soviet Union in 1964 he became an assistant to Wolfgang Franz in Frankfurt. In 1965 he then passed his habilitation; his results were the basis of the later lecture notes Flächen und ebene diskontinuierliche Gruppen. In the summer of 1966 he went back to Moscow, this time by car and with a group of people, in order to attend the ICM. He nearly paid for this trip with his life, as the party had a severe car crash on the way back to Germany and Heiner was seriously injured. After recovering from the accident he decided to spend the academic year 1967/1968 in Moscow. During this year, he received the offer from Germany of a chair at the University of Bochum. He accepted the offer and would stay in Bochum until his retirement in 2002. The Ruhruniversität in Bochum was one of many universities in Germany that had just been founded, and Heiner was one the first professors to be appointed. He quickly built up a group of mathematicians, and turned his seminar into an active place with a constant stream of international visitors. Over the years Heiner had many long-term visitors, including a substantial number of Humboldt fellows, who spent an extended period of time in Bochum. After the Soviet Union had faded and travel restriction for mathematicians from the East were lifted, Bochum turned into a haven for mathematicians from countries of the former Soviet Union. Even as Heiner branched out into a variety of mathematical directions, the topic of surfaces, planar groups and their automorphisms remained a central theme throughout Heiner's mathematical career. Many of his results in 3-manifold theory resulted from his deep understanding of the algebraic structure of planar groups. Besides making Bochum a centre of combinatorial group theory and topology, Heiner Zieschang continued to travel extensively. In particular he spent the full academic years 70/71 in Ann Abor, 74/75 in Madison, 78/79 in Minneapolis, 84/85 in Moscow, 88/89 in Paris, 93/94 in Toulouse and 98/99 in Santa Barbara. Heiner Zieschang was awarded two honorary degrees. In 1995 he received the title of Docteur Honoris Causa from the Université Paul Sabatier in Toulouse. 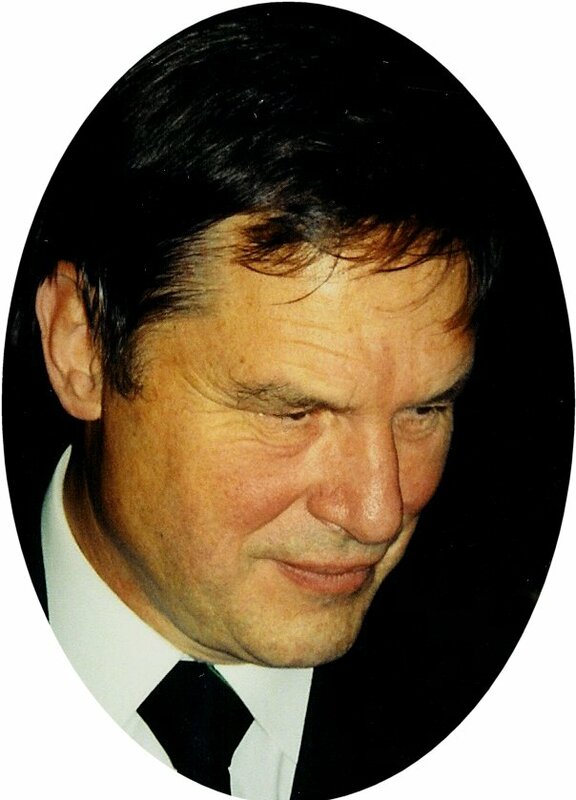 In 1996, at the occasion of his 60th birthday, he was awarded the title of Honorary Professor of the Moscow State University, a quite unusual honor for a mathematician. In 1993 Heiner further received the Alexander von Humboldt prize for his contributions to the scientific cooperation between France and Germany. After his retirement in 2002 Heiner continued to pursue mathematics avidly, and returned to Moscow for the academic years 02/03 and 03/04. It was during this time that Heiner found out about his illness. After his return from Moscow in October 2003 Heiner continued to work with various coauthors while staying in Bochum. Heiner passed away on April 5th 2004. © Copyright 2008 Geometry & Topology Monographs. All rights reserved.